In some industry functions, the produced air quality from the air compressor system is sufficient in its raw form to accomplish the required operations. But in the case where the site environmental conditions warrant, or the process components require a cleaner, dryer air supply, then the produced air must be conditioned to meet these requirements. What is Instrument Air ? Throughout industry, much of the production equipment is pneumatically driven or controlled. The air required to perform this function comes from the facilities or site air compression system. In the oil & gas industry, or those facilities where process controls and sensitive pneumatic machinery are operated, the air quality supplied must meet “Instrument Air Quality” standards. • ANSI has produced air quality standards for the industry that must be utilized as the minimum requirements for the design and application of an “Instrument Air” system. • ANSI /ISA–7.0.0–1996 is the globally-recognized quality standard for instrument air as defined by the Instrument Society of America. Below, we’ll go through the Standard’s Four Elements of instrument air quality for use in pneumatic instruments. • According to the ISA standard, the pressure dew point, when measured at the dryer outlet, should be at least 18°F below the minimum temperature where any part of the instrument air system is exposed. 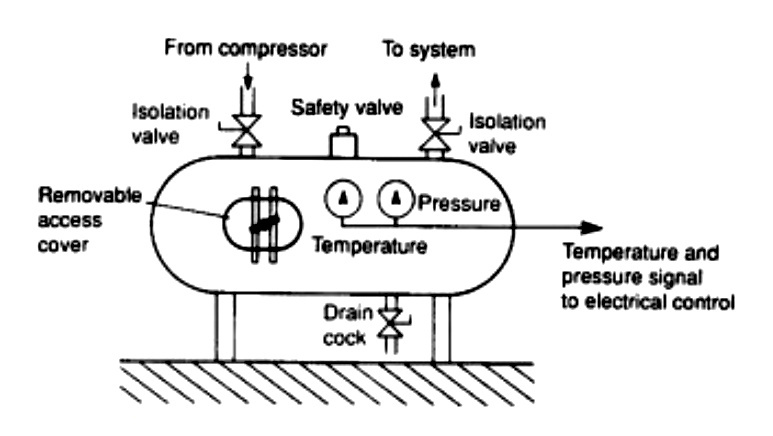 • The pressure dew point is that pressure and temperature where free moisture can form at any specific pressure. • A maximum particle size of 40-micrometer in the instrument air system is acceptable for most pneumatic devices. Additional filtration should be added for pneumatic devices requiring instrument air with less than 40-micrometer particle sizes. After any maintenance or modification to the air system, the maximum particle size in the instrument air system should be verified to be less than 40-micrometers. • Oil content should be as close to zero as possible, and under no circumstances should lubricant content exceed 1 ppm w/w or v/v. Any lubricant in the compressed air system should be evaluated for compatibility with end-use pneumatic devices. • Instrument air compressors should be free of contaminants and hazardous gases. If contamination exists in the compressor intake areas, the intake should be moved to a different elevation or location where it is free from contaminants. Sources of contamination may include painting, chemical cleaning and/or engine exhaust. Air Purge Regeneration - a common regenerative dryer system where the wet tower is dried by diverting a small flow of the dry air from the active drying tower back through the saturated tower. This dry air adsorbs the moisture and expels it to the atmosphere. 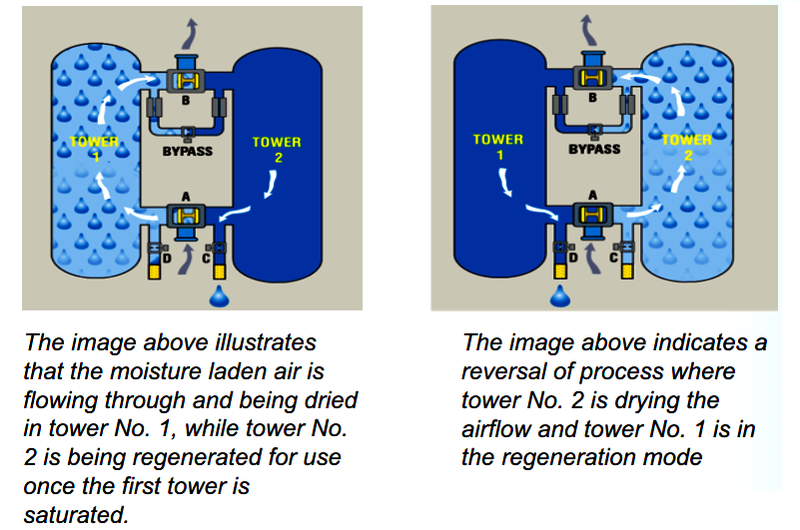 Heater Regeneration - another common regenerative dryer system where the wet tower is dried by a heater element that is incorporated in the towers. When in the regeneration mode, the heater element heats the tower to the point of boiling the entrained water to a vapor that is expelled from the wet tower into the atmosphere. Both dryer types accomplish the required dew point reduction and add some inefficiencies to the Instrument Air Unit by either utilizing some of the systems horsepower or adding extra electrical power requirements to the system. 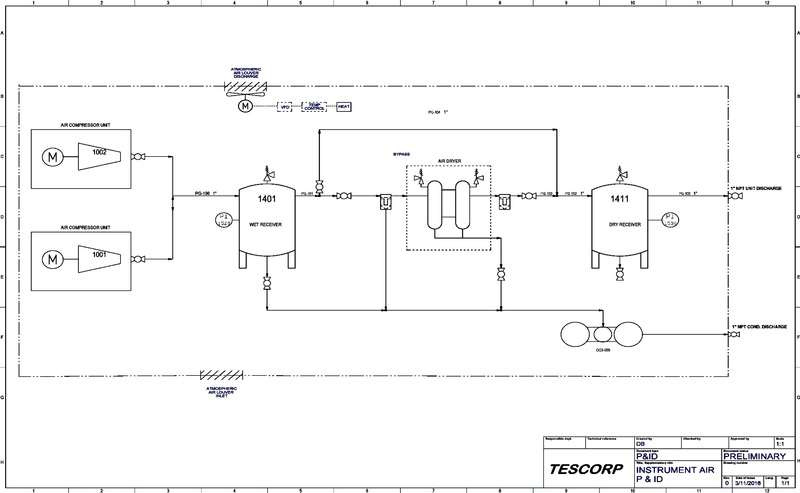 The consideration for this regeneration cost must be applied to the initial sizing of the compressor unit. • Air purge system is the simplest system to implement. • The air flow requirement for regeneration is usually 15-20 percent of the total air flow. • Does not utilize any of the compressor capacity. • Requires excess electrical power for regeneration. 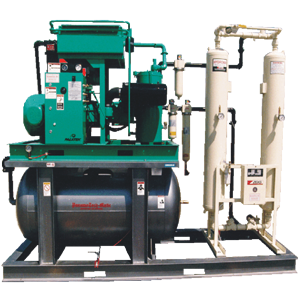 In most systems, the air compressor is sized to exceed the site air flow requirements. It meets and exceeds this volume and is then allowed to unload or reduce its work load until the demand for more air is required. The excess air produced when in the demand mode is stored in the air receivers that are incorporated within the Instrument Air Unit. These storage vessels (Receivers) store the excess air at an elevated air pressure to allow the compressor to cycle down and the system to still continue to supply the required air flow to meet the site requirements. They also act as a pressure pulsation buffer to supply a more consistent air pressure with little variance. The Instrument Air Unit storage volume may vary to meet the design requirements by adding more storage volume or operating at a higher storage pressure. These are variables within the system that are made in the initial design phase. But, at any time, “Dry Air” storage may be added to the site air system as an ancillary component. Condensed water from the wet air storage and the prefilter into the dryer is a combination of mostly produced water with traces of oil that is a carry-over from the compressor oil separator. Although minute in the percentage of concentration, the presence of this condensate prohibits it from free discharge into the environment. 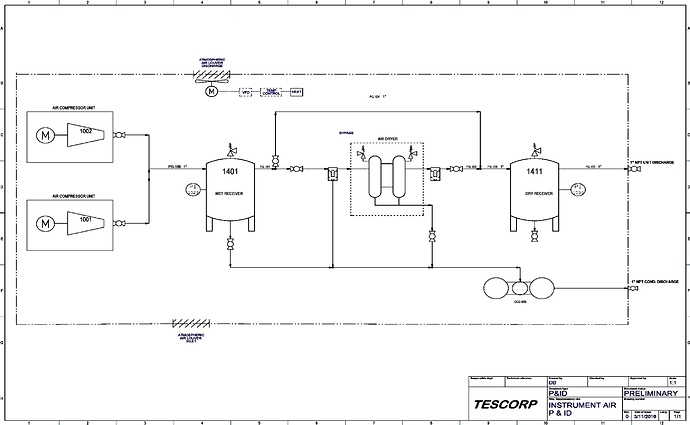 Therefore, this produced water must be conditioned prior to discharge through the use of an Oil/Water separator that removes the oil from the effluent.